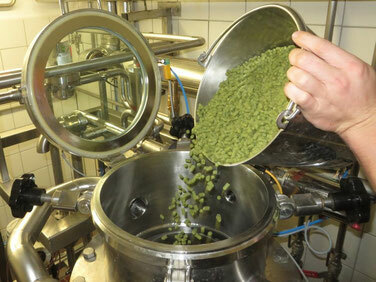 In conjunction with the HopfenGabe during the boil, hop additions in the whirlpool create a more intense hop aroma. Harmoniously complements bitterness with aromatic notes. Dry hopping accentuates the most volatile hop aromas most easily perceived by scent. Whirlpool hopping can create a balance between hop aroma and dry hopping. This way, perception of hop aroma in the nose and mouth can be harmonized. The increase in volume of the hop pellets added to the whirlpool account for a considerable amount of wort loss. Simultaneously, the amount of hops that can be added to the whirlpool while still allowing for separation of solids is limited. The HopBack Pellet solves both problems. 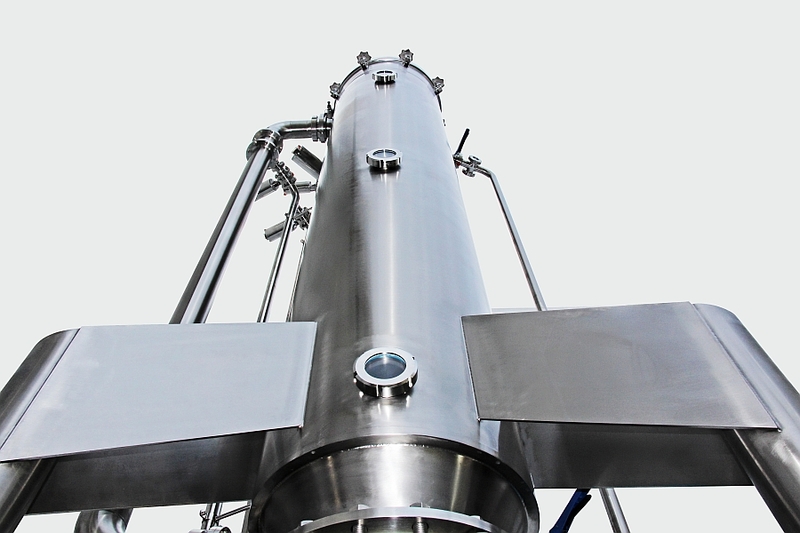 Hop trub pending wort losses can be reduced by up to 80% while maintaining maximum variability in the amount of hops used and without affecting solids-separation. 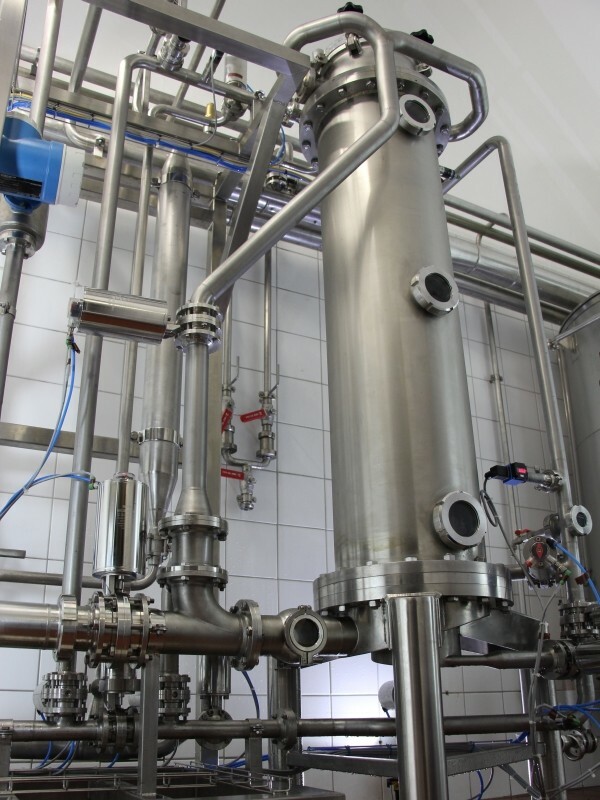 Wort losses can be reduced significant! Aroma extraction is achieved more intensely in the HopBack Pellet than in the whirlpool thanks to optimized flow through the pellets. Alpha-acids are also washed out along with the hop oils. 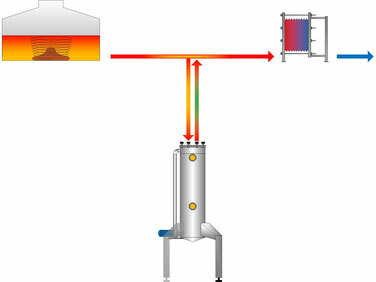 Due to the immediate cooling of the wort after leaving the HopBack Pellet, significantly less iso-alpha-acids are created compared to whirlpool hop additions, creating delicate aromas without harsh bitterness. Aroma volatiles do not evaporate due to closed system. HopBack Pellet can also be used for orange peel, coriander, or other aromatic flavorings. 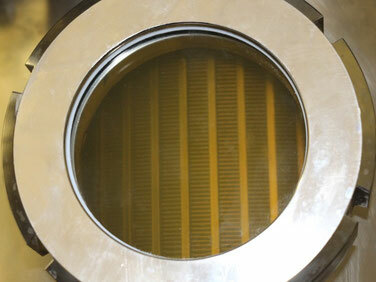 Because of the filtering of solid hop particles in the HopBack Pellet, no solids find their way into the wort cooler. 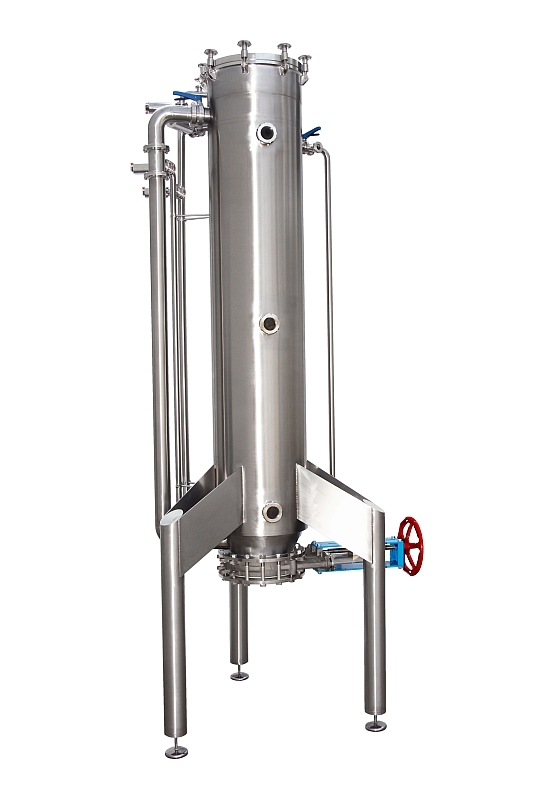 Wort after HopBack Pellet can can be returned to Whirlpool to achieve higher isomerization. 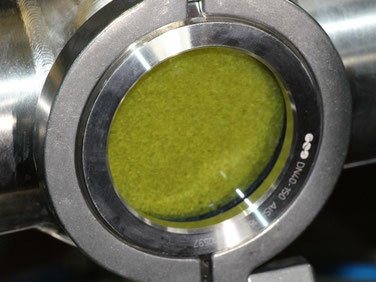 Hop solids are retained and reduce trub load in Whirlpool.